An Insurance Brokerage house is looking for a Finance Officer to take charge of the financial health of our company by administering accounting operations to meet legal requirements. The ideal candidate should be familiar with audits, invoices, commission calculations and budget preparations. Demonstrates interest in managing accounting activities, including bank reconciliations, accounts payable and accounts receivable. You should also have excellent organizational skills and be able to handle time-sensitive tasks. *10 years’ plus experience in Audit/VAT knowledge from the country of Origin. *Should be responsible for Planning, Managing, Implementing Audit Plans and good reporting. We have 3 new roles open, duties include financial reporting to funders and statutory reporting, budgeting and financial analysis, managing payroll, reconciliations, month end reporting, analysing and reporting on results and general accounting functions. Experiences in Payroll, MYOB and Microsoft Office skills are essential. This role will require you to be proficient in basic accounting tasks as well as had exposure to more complicated accounting requirements. The successful applicant will possess appropriate accounting qualifications. • Well versed with production cost accounting. • Audit staff expense and distributors and dealers incentive and prepare monthly payment accurately. • Prepare regular and ad-hoc financial reports of monthly accounts and yearly financial reports within deadline. • Register Withholding Tax, VAT and Business Tax Report to local authorities on time. • Maintain book-keeping and cash flow management. 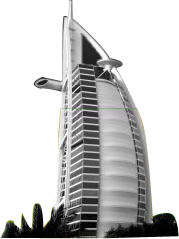 • Assist in other Finance projects, accounting and procurement tasks in UAE operations. • Prepare annual corporate income tax return and tax reconciliation statements based on financial statements. • Handling Company’s payroll, prepare budget, etc. • Maintain relationship with banks. • Handling foreign exchange related issues. • Maintaining of store and keeping inventory records for accounting record and due diligence purposes. • Primary Bachelor Degree in Accountancy or Chartered Accountant Qualification from a reputable university. • Late 30s to 40. • At least 5 to 7 years of experience.